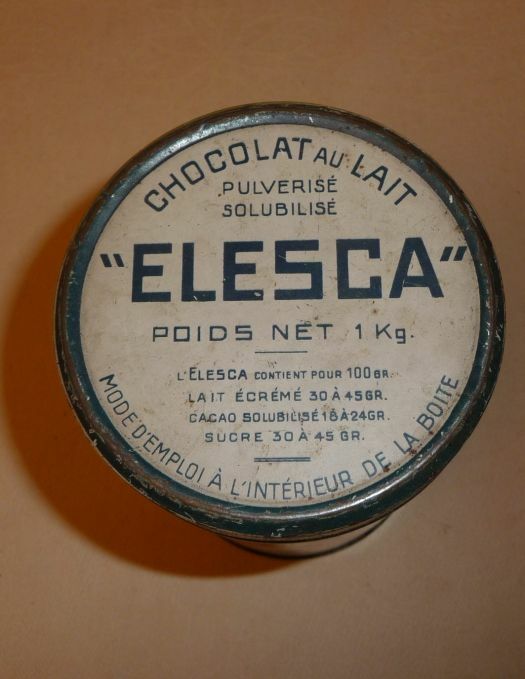 Tin advertising box for Elesca chocolate. 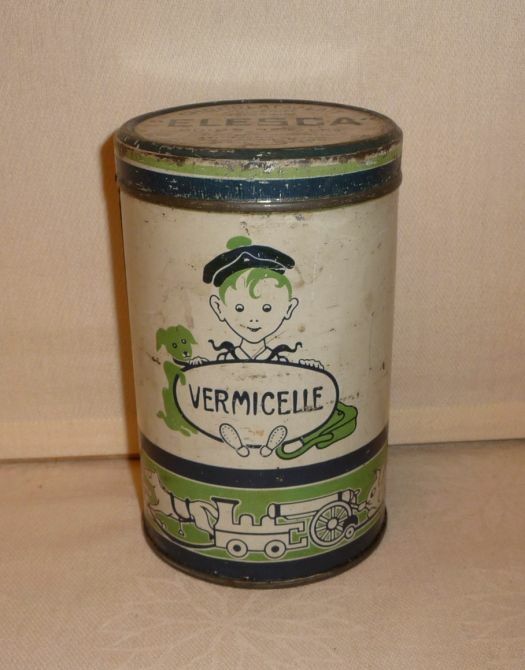 There were a set of boxes, this one was for vermicelli. 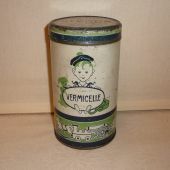 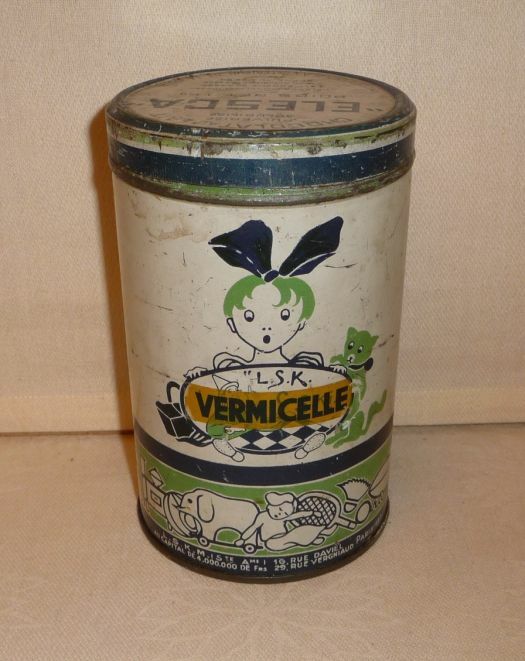 Condiition is OK but on one of the sides, a label "vermicelles" has been sticked and seems difficult to remove without damaging the box !